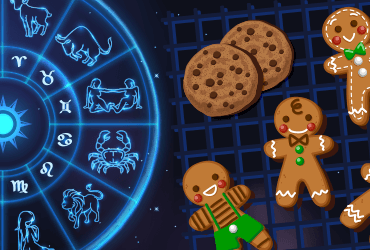 Christmas Cookies - Which Holiday Cookies Best for Your Zodiac? Holidays are the ultimate time to serve your guest with the most delicious recipes and a meal that guarantees they keep coming back year after year. Thanksgiving and Christmas delicacies are what people look forward to enjoying all year long. And if you are having some friends over, then there is no way you want to goof up. So you have to make something that not only tastes Christmasy but has a hint of your twist to it. Now, what is it that perfectly captures the essence of holidays and can be a great happy holiday serve? Cookies! There are thousands of tempting recipes available online just asking to be tried, but narrowing down on one can be quite a task. If much like us, you too are hooked on Horoscope, then why not let your sign decide it for you. So for all the stargazers out there, here’s a list of Christmas cookies based on your Zodiac sign that you should at least once bake up this Christmas season. Aries: Cocoa Cookies - While most of us have a particular aim, something that we want to achieve, Aries are way cool to have a life objective. They just want to be the best at what they do. So here’s gluten and flour free cocoa cookies for you people, the best! Read Your Aries Daily Love Horoscope! Taurus: Thin Mints - You guys are all for stability and since it’s #Christmas, you are lucky that there is something for everyone. These cookies are tailor-made for you people as they perfectly balance the richness of chocolate and freshness of mint. Plus, these are crowd favorites. 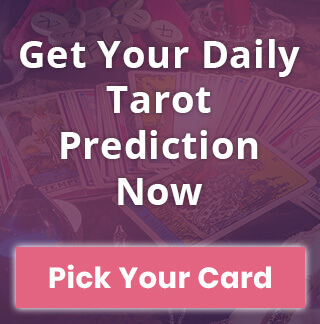 Read Your Taurus Daily Love Horoscope! Gemini: Chocolate Pinwheel Cookies - Can’t really finalize which cookie to make this Christmas? Well, you can ask the Gemini inside you. It says you should go for the coconut pinwheel cookies that combine chocolate and almonds for the most refreshing taste. Read Your Gemini Daily Love Horoscope! Cancer: Sugar Cookies - Of all the Christmas stories you tell people, there has to be one that you love the most. And it must be something that takes you back to your childhood because Christma is all about that. Sugar cookie is that particular story. Read Your Cancer Daily Love Horoscope! Leo: Chocolate Ganache - You are like a perfect Christmas cookie yourself, crispy on the outside gooey on the inside. A thumbprint ganache is the best cookie for you as it represents your over the top exterior filled by a loyal melting heart. Read Your Leo Daily Love Horoscope! Virgo: Christmas Tree Cookie - Virgo have this incredible ability to mix into everything just so perfectly. They can get into any mood and develop a sense of belonging to wherever they go. These adorable Christmas tree shaped delights would be perfect for someone born under this sign. Read Your Virgo Daily Love Horoscope! Libra: Cranberry Sandwich Cookies - Little sweet and a little tart, a mix of both contrasting flavors would be ideal for a Libra who is all about elegance and balance. Read Your Libra Daily Love Horoscope! Scorpio: Gingerbread Cookie - The fiery yet mouthwatering taste of the all-so amazing gingerbread is a perfect representation of your passionate and stubborn nature. And it’s an all-time classic so we rather hope you identify with it!! These are perfect for you. Read Your Scorpio Daily Love Horoscope! Sagittarius: Classic Mexican Cinnamon Cookie - Sagittarius ascendants are known to be somewhat of wanderlust-driven individuals who just live for adventure! So keeping that in mind, here are #Mexicancookies to take you down South without you having to leave the kitchen. What an amazing match for you guys. Read Your Sagittarius Daily Love Horoscope! Capricorn: Shortbread - Unlike anyone on the list who likes to go all fancy, you people value tradition a tad way too much and believe following conventions as the best way to honor holidays. Classic shortbread would be perfect for your personality as it’s a sign of true craftsmanship and has a certain quality to it. Read Your Capricorn Daily Love Horoscope! Aquarius: Peppermint Patty - If there is one recipe that is most flexible for experiments, it has to be this one. You can do whatever you want with these. In a way, peppermint patties appeal to your creative side which is exactly what a quintessential Aquarian would want. Read Your Aquarius Daily Love Horoscope! Pisces: Coconut Macaroons - You are wise, subtle, intelligent, and fun. Perfectly suited for these light and #fluffycookies. And for the fact that you are overly friendly, you would like making a batch for all your buddies. Read Your Pisces Daily Love Horoscope! 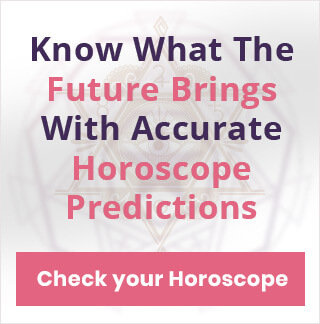 As we said if you are a Horoscope fanatic, then don’t miss out on our articles this Holiday season. Check out your Christmas Horoscope.